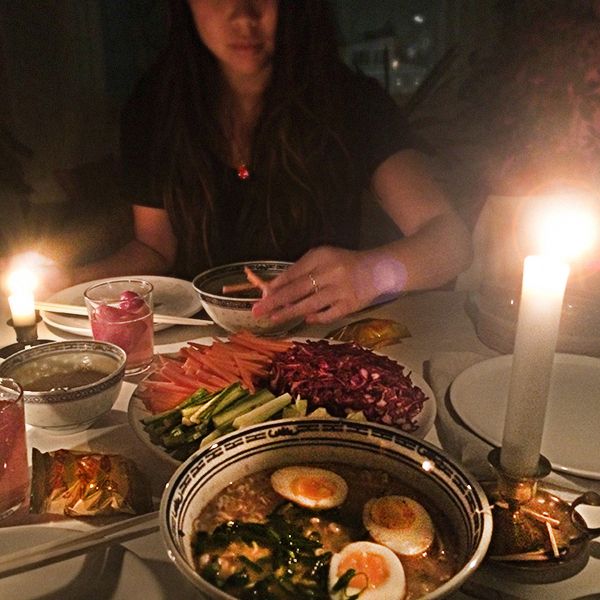 A Multi-Asian dinner by candlelight consisting of Japanese green tea, Korean ramen and Vietnamese summer rolls – everything homemade (including the awesome spicy peanut sauce). 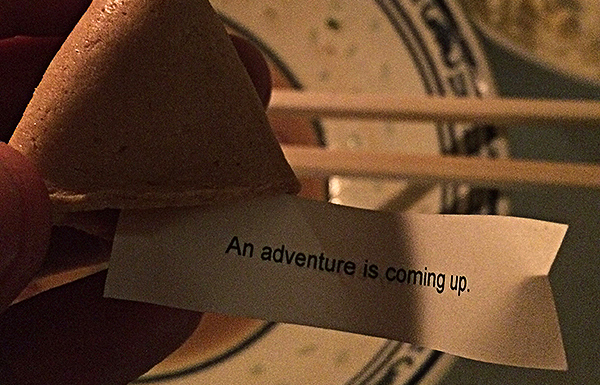 My fortune cookie's prediction will most likely come true. Berlin next week and Tenerife next month.